Motorola has always been one of the most prominent mobile manufacturers in the world, competing with the likes of Samsung, Apple, HTC and Nokia in the smartphone market. With the start of the smartphone era, Motorola released its Motorola Droid, which was consequently the first Android powered smartphone. It was a huge successful, and led to the start of the Droid line. 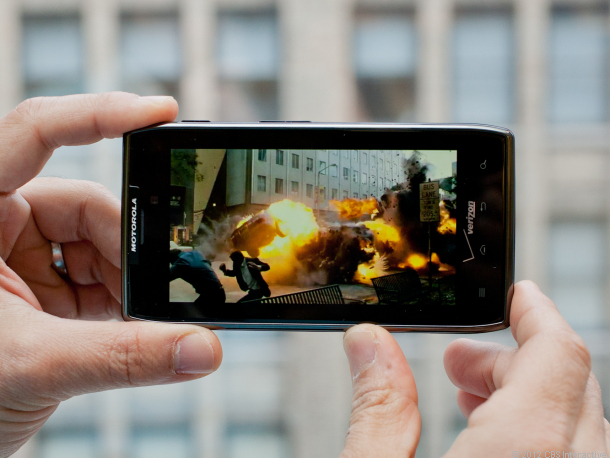 Apart from that,Motorola also had a series of other powerful devices in the market. However, with the passage of time,new devices flooded the market and Motorola were left for most parts to play catch up, which meant that their profits were suffering. In 2011, some of the biggest and the hottest phones were released. The Samsung Galaxy S2 was a major success for Samsung, and it was doubled with the release of the Galaxy Nexus, which was another positive achievement for the Korean firm. Apple released the iPhone 4s, and HTC came up with a number of powerful phones to stake its claim in the market. Motorola was fast falling behind, and an ace was required in order to cover up the lost ground. And, that ace came with the introduction of the Motorola Razr. After the release of the Google Nexus, Motorola held its own press conference in order to highlight and release the Motorola Droid Razr. 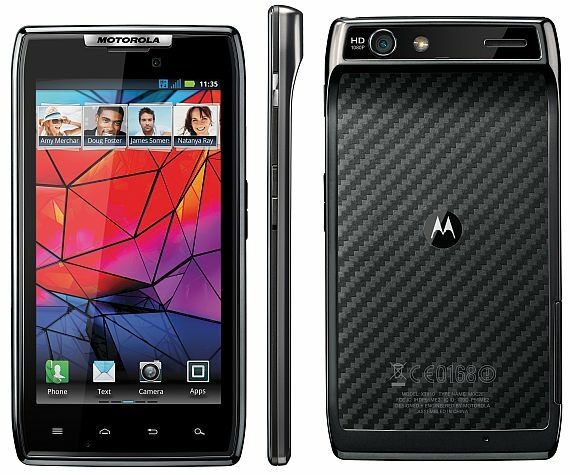 When we talk about the Motorola Razr, what is the first thing that comes to your mind? Of course, it has to be the design and the slimness of the phone itself. 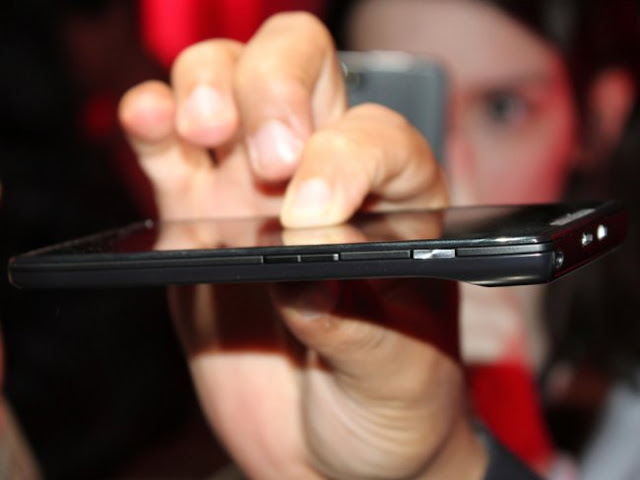 Motorola Razrs have always had wafer thin shapes and highly slim packages, and the Motorola Razr is definitely the slimmest Android phone in the market right now with a thickness of a mere 7.1 mm. Apart from that, the phone features a 1.2 GHz Dual Core Texas Instruments OMAP 4 processor (similar to the one used in Galaxy Nexus), a 8 MP camera enough to take beautiful shots and full HD video recording, as well as an extremely sleek and stylish back. Another notable feature of the phone is the Kevlar fibre which has been used in the construction. Kevlar, as you might know, is used primarily in the manufacture of bullet proof vests, and the stylish material sets carefully at the back. However, the only drawback of this is that it does not allow you to take out the battery, similar to the iPhone 4.
celebrities such as Zoe Saldana and 50 Cent. The phone also features LTE connectivity and a NFC chip, and an update to the Ice Cream Sandwich operating system from Google is expected in the near future. For people who are looking for a powerful, stylish mobile phone that caters to all of their needs, the Motorola Razr is the perfect choice, as it packs a powerful punch of both. The phone is scratch proof, shock resistant and completely water proof as well, which is also a great added advantage for Motorola. Being razor thin, the phone is extremely stylish, and the only protrusion is at the top of the device, where is a slightly thickened back to allow for a proper hold and to include the interior functions of the phone. It runs on Android 2.3, which is the latest operating system available right now apart from Ice Cream Sandwich, which has yet to be released for several firms. The troublesome Moto Blur interface has also been removed by Motorola, and a new operating system has been developed by the company in order to allow for easy flexibility while switching between tasks and applications. If you are looking for a powerful, sleek phone, the Motorola Droid Razr is the perfect choice, as it includes a lot of different options which are perfect for people who require an all round device that solves all of their communication problems. Kevin Moor who writes for different sites, which inter alias are working to find better disk cleaner. !